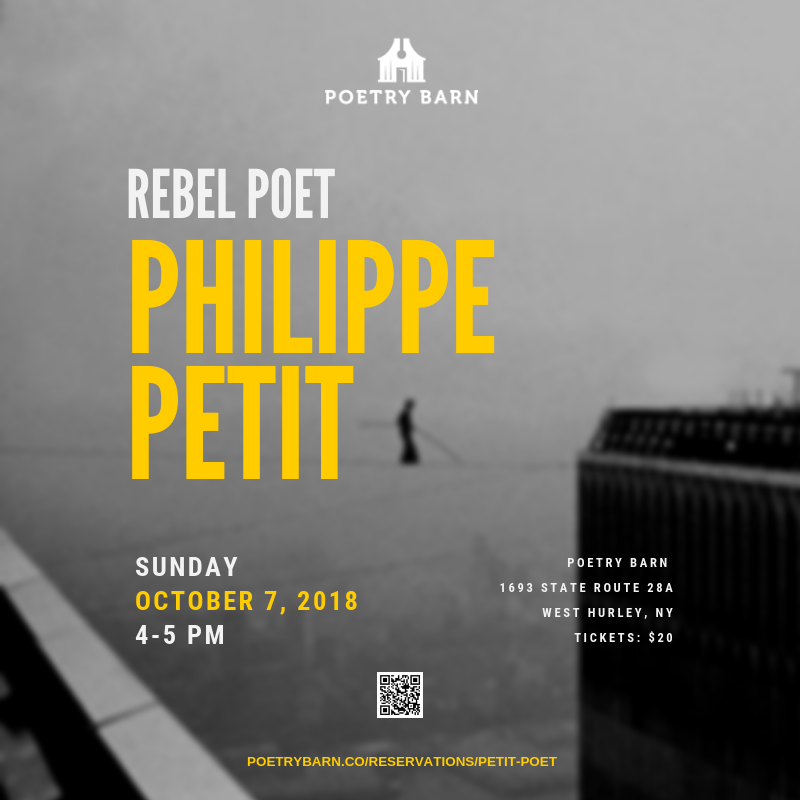 Join renowned high-wire artist Philippe Petit in a lively impromptu conversation on creativity and risk-taking, and hear him read his first published poem! As chronicled in his Oscar-winning documentary Man on Wire, Mr. Petit is best known for accomplishing what has been called the “artistic crime of the century,” a breathtaking, illegal high-wire walk between New York City’s former Twin Towers. Petit says walking on that cable was an effort to “extend the boundaries of poetry.” Petit’s book Creativity: The Perfect Crime reveals new and unconventional ways of going about the artistic endeavor—from generating and shaping ideas to practicing and problem-solving to pulling off the coup itself—executing a finished work. A limited number of tickets are available. Reserve soon!